Sometimes you need just a touch of light to make a project sparkle! These clear mini lights are one of our favorite light sets to recommend to our customers. 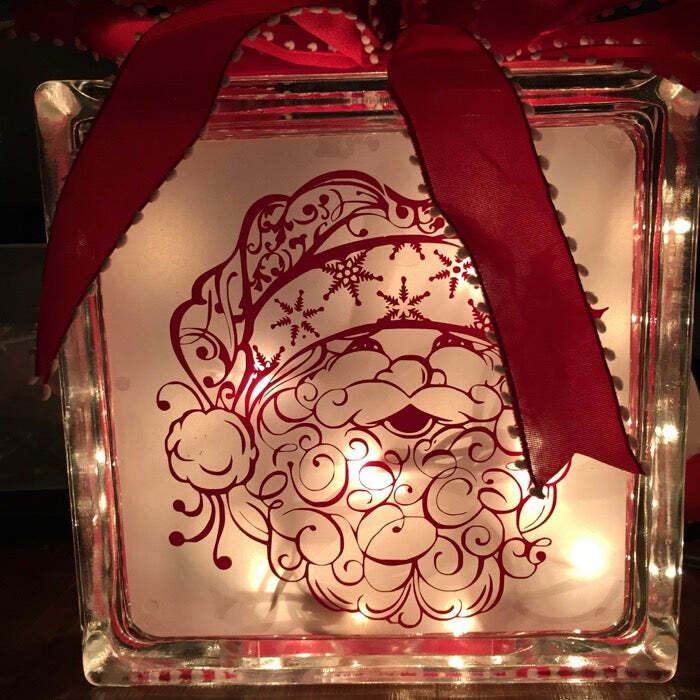 With 15 clear mini lights on white wire, these Christmas lights are ideal for using to fill a lantern, wrap a small wreath or light up a tiny Christmas tree. Each set comes with a 36 inch lead wire and only one plug, which often makes an extension cord unnecessary. Want to add some lighting to your Christmas village? 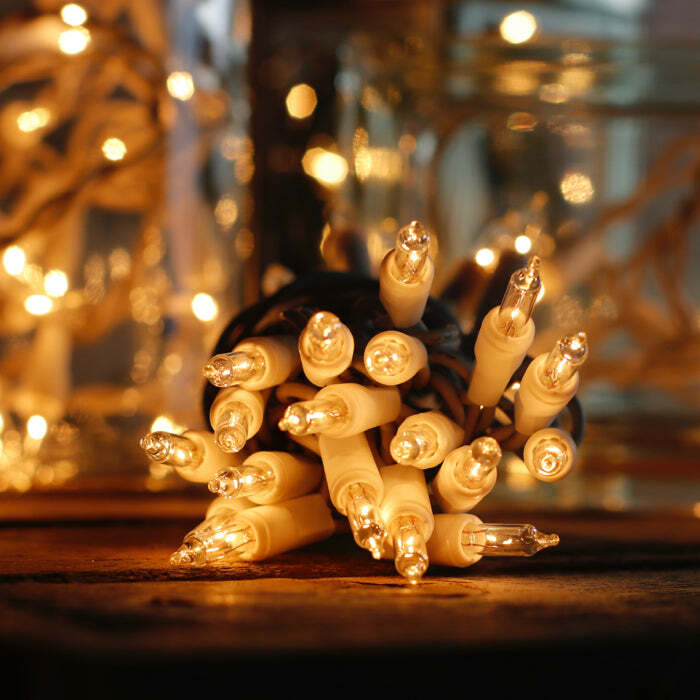 Lay these mini lights underneath your snow batting and bring a warm homey touch for the holidays. These clear Christmas lights can add shine to wine bottles and glass blocks. There are so many varieties of applications for these fun lights. How will you embellish your next project? Single standard male plug. Light string ends with a bulb. I ordered the wrong color 15 lights. The company was wonderful and immediately sent out the correct color( it was my mistake !!!!) I put them inside a â€œ grinchâ€�. Otter and they are great ! Thank you for sending these lights to promptly. They were exactly as shown. we have a tree top angle that needed some new lighting, and your 12 light string was just "what the angle needed" the 36 inch lead to the plug allows plenty of room. Excellent customer service and great product! I will always come here to buy my lights. So very satisfied! Thank you so much! I use these in craft projects and on the table at craft shows. Just the thing ! I love doing business with this store. I have been ordering from them for three years now and I will always come back here to order my lights. The quality is excellent. The customer service is outstanding! Thank you so much for all you do! I will be back! I buy these lights on a regular basis for making bottle lights. These lights are great, top quality, with two extra bulbs and a fuse (yet to need either yet) but a great to have. Christmas Light Source has earned my business for sure. I will be back! I've been working on different crafts and projects with my daughter and we've really enjoyed using them. I bought them to go in our Christmas village but have found other places to use them since we put our Christmas decorations away in January. I like that you don't have to run an extension cord because there is a long wire before the plug. Q: Do these light twinkle and if not can they be made to twinkle? You can probably find a flasher module on amazon or at a hardware store. That would only make the whole strand flash on/off at the same time. I'm sorry, we currently do not ship to Canada. We do offer a 10% case discount for quantities of 25 sets.